Sunday Family Fun Days take place on the select Sundays at Venue on the Lake in Maitland, and feature special guests, themed events, and puppet performances. MicheLee Puppets and Venue on the Lake are partnering up once again for Sunday Family Fun Days in 2018! Sunday Family Fun Days take place on select Sundays throughout 2018 at Venue on the Lake in Maitland, and feature special guests, themed events, and puppet performances. Check out these articles and videos about these events in The Orlando Sentinel and The Orange Observer. Start off the new year with a healthy mind and body! Enjoy performances and hands-on activities that promote bully prevention and health and wellness! Witness a bullying situation? Join the Upstander League! Fielding calls from bystanders in distress, audiences transform into The Upstander League’s latest recruits, practicing the tactics to go from bystanders to upstanders. Are you ready to laugh, learn, and empower the upstander in you? World Puppetry Celebration: Featuring Leslie and Lolly! Celebrate the art of puppetry with hands-on activities, performances, and more featuring special guest, Sesame Street’s Leslie Carrara-Rudolph! Bring new, fuzzy socks and help MicheLee Puppets set a record for the most sock puppets assembled in one hour! 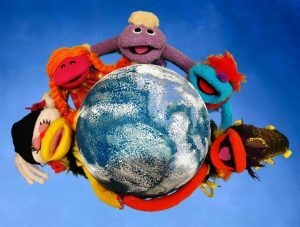 All puppets will be donated to youth in need as part of MicheLee Puppets’ “Sock Puppets with a Heart” program. 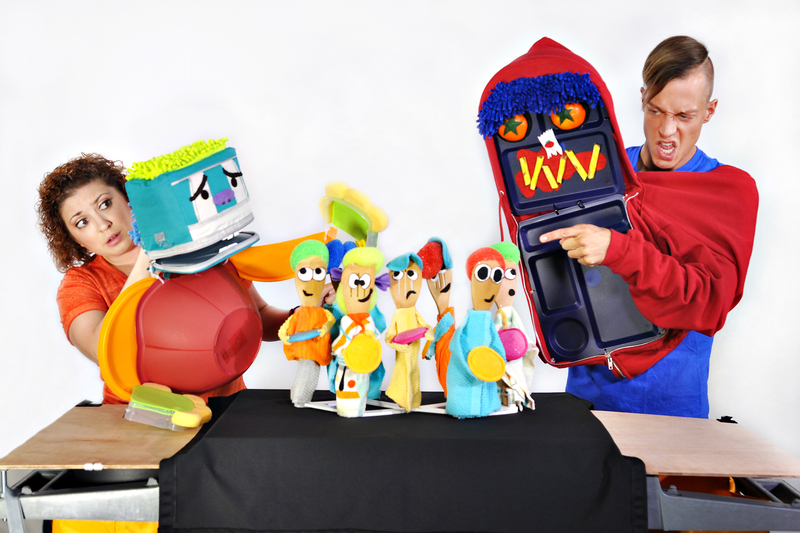 Be inspired by MicheLee Puppets’ newest production “Mission STEAM Possible,” then enjoy hands-on activities provided by Doctor Geek that explore Science, Technology, Engineering Arts and Math! About “Mission STEAMpossible”: Teen inventor, Magnificent Quest, dreams of being an engineer on the first Mission to Mars, but when her brother is injured, she puts her dreams on hold. Determined to help, she and her self-designed sidekick “Dinobot” adapt space technology to strengthen his fragile arm. Through the magic of puppetry theatre, young audiences will discover how to apply science to unlock the mysteries of our universe; and how to use technology to solve the problems of our world. Reservations are recommended. A $5 donation per family is requested, not required. Enjoy performances of MicheLee Puppets’ The Upstander League (Ages 7 and up) plus hands-on activities perfect for back to school preparation! The first 100 children receive a backpack with supplies courtesy of Venue on the Lake and Jeremiah’s Italian Ice scoops complimentary treats! 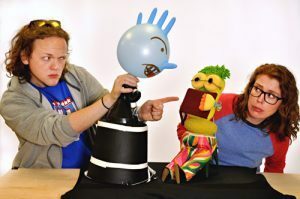 Enjoy performances of MicheLee Puppets’ “A Good Day for Pancake” (ages 5 and up), then participate in hands-on activities that promote self-esteem and teach audiences techniques to stop bullying behavior. PLUS Jeremiah’s Italian Ice will be scooping complimentary treats! Sing along with Jim Henson’s classic film! 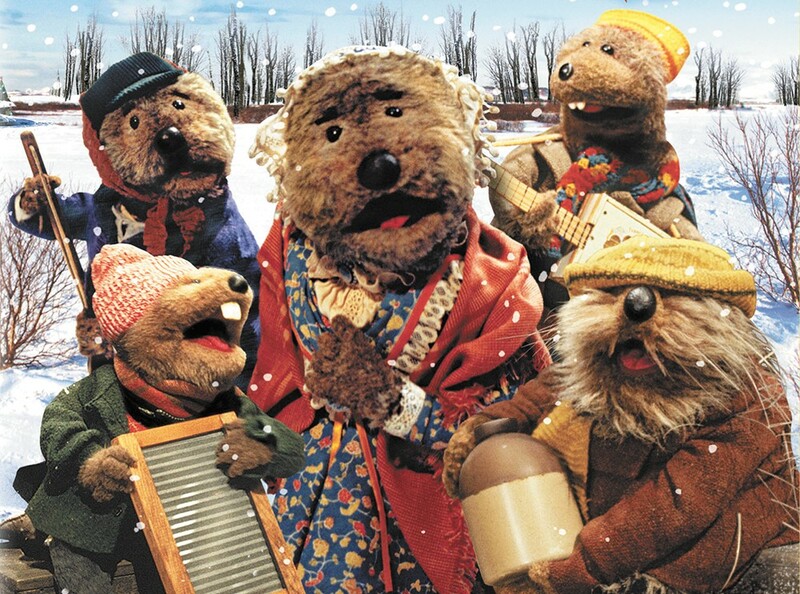 Based on a book by Russell Hoban, this beloved Christmas story, with music from Paul Williams and an all-puppet cast of woodland creatures, tells the story of Ma and Emmet Otter – a family that has little more than each other. When a talent show is held in town, a fifty-dollar prize gives them each hope of buying the other a real present this year. Then enjoy complimentary treats from Jeremiah’s Italian Ice, create found sounds, and play along with live musician by Mr. Harley presented by Performing Arts Maitland! MicheLee Puppets is Florida’s leader in educational puppetry and focuses on important issues such as early childhood education, health and wellness and STEAM. Each Sunday Family Fun Day will have a different theme that reflects these topics and more. MicheLee Puppets and Venue on the Lake are partnering up once again for Sunday Family Fun Days in 2018. Sunday Family Fun Days will take place on select Sundays throughout 2018 at Venue on the Lake in Maitland, and will feature special guests, themed events, and puppet performances. “Public performances provide the opportunity to empower the whole family. Students see MicheLee Puppets performances in school and can discuss bully prevention strategies with their friends, or practice rhyming for reading readiness in their classrooms, but we want our messages to reach further. By partnering with Venue on the Lake-Maitland Civic Center, multiple generations can attend a show together, which opens up a dialogue about these important topics, extending beyond the school environment,” said Tracey Conner, Executive Director of MicheLee Puppets.